Whether it is your source of income or a personal space for projects and car maintenance, your garage, and your shop is where the magic happens. It’s a place of crafting, grinding, polishing and, at the end of the day, doing a bang-up job that you can be proud of. A shop is incomplete without the right tools and while there are a variety of tools out there, not all of them are built equal. 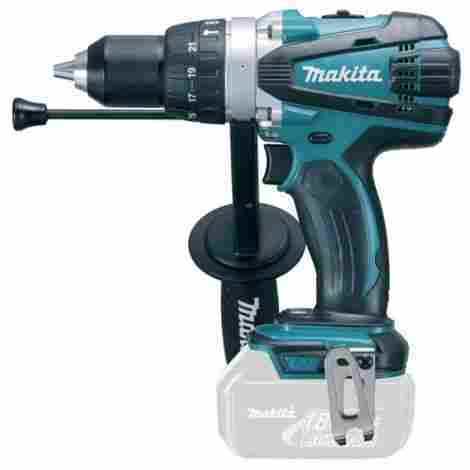 In this article, we look at the ten best automotive power tools from Makita. Makita is a placeholder in the power tool market. Founded in 1915, the company has been steadily putting out quality products and constantly innovating its roster to compete with fellow giants Bosch, DeWalt and, of course, Milwaukee. Every mechanic, handyman, woodworker has their go-to brand. However, recent trends show a slight shift in Makita’s favor. There are popular theories and the reasons vary. Makita is renowned for making lightweight, efficient products that are easy to use—making them ideal for veterans and beginners. However, Makita’s trump card seems to be one of the most basic of power tool components—the trademark Makita 18V battery. 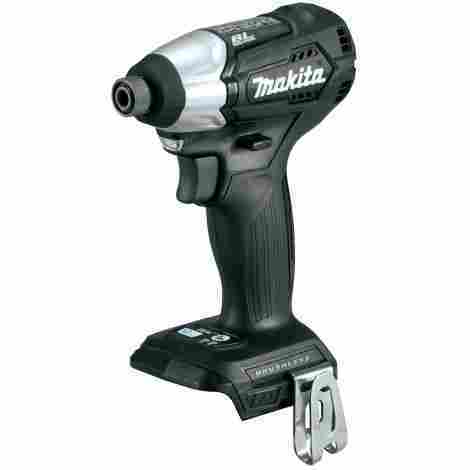 It is renowned for its durability and constantly out-performs batteries by Milwaukee and DeWalt. This coupled with the ENERGY STAR qualified optimum charger produces exceptional lifetime work, charging batteries in just 30 minutes. So, let’s get into the ten Makita power tools for mechanics and automotive enthusiasts. 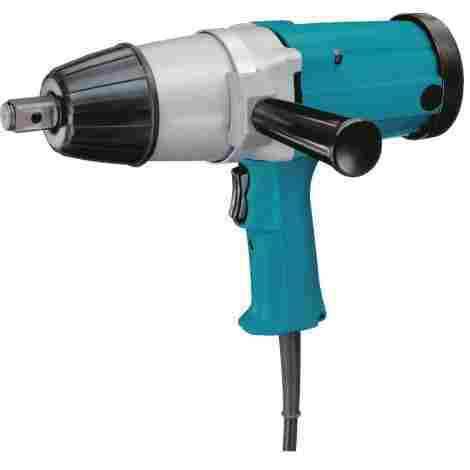 This tool is a high power, heavy duty impact wrench that can serve as the reliable work horse of your garage. 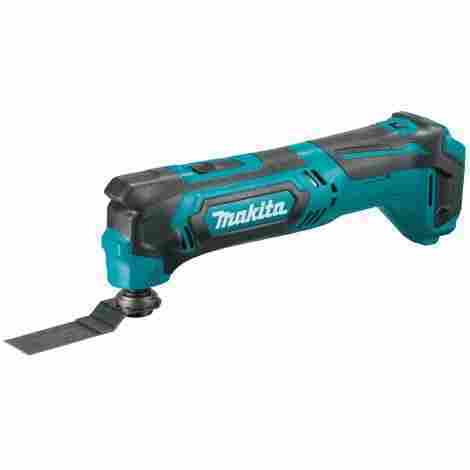 The device features the Makita Brushless motor engineered for a longer run-time and faster charging. The motor delivers 740 ft-lbs of maximum torque and 1.180 ft-lbs of breakaway torque. The brushless feature reduces friction produced and generates a greater torque per weight. Beside the 740 max torque doled out by the motor, this tool features a 3-speed power selection. This impact wrench will work on rusted parts no problem. It can also tackle large autos, school buses, take apart engines or just change out your tires. No matter how you spin it, this device is an essential addition to your tool shed. Pricewise, this tool is on the more expensive side, however, it is also rated higher than its competitors in terms of power, performance and durability. Even the lack of an O-ring does not seem to deter customer reviews. This wrench gets a constant score of 4.5, or higher, out of a 5 on most customer reviews. Sure, you would be spending more but the value makes up for the price. This is an investment. Screw goes from plastic body to steel front nose so no worries about the screws getting stripped. Lack of an O ring means that sometimes that heavier clips could come off. Every automotive enthusiasts and body shop needs a good reciprocal saw. Measuring 17 and a ¾ inches long and powered by Makita’s famous 18 Volt batteries, this reciprocal saw is a great addition to any garage. It can deliver a 1-1/8 long stroke at a rate of up-to 2900 strokes per minute—the strokes are controlled by the amount of pressure applied on the trigger. Star Protection is a communication technology that allows the product’s battery and saw to communicate so you won’t have to deal with over-loading, over-heating, or, over-discharging while you work. This is especially for people who work in hot conditions. A refined crank mechanism keeps the vibration down while also reduces blade deflection. 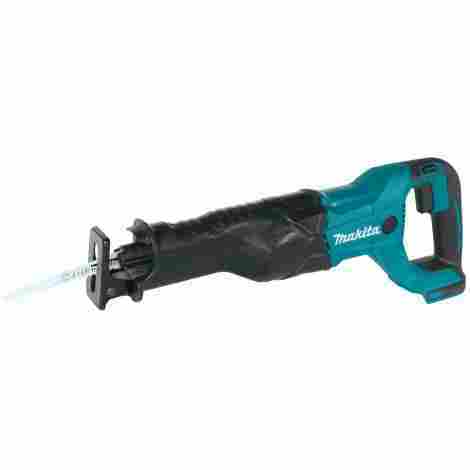 True to Makita design, the saw comes padded with rubber grips and blade changes do not require any tools. When mounted with the battery, the whole device weighs an easy 8lbs. This is an excellently priced cordless reciprocal saw. The cordless feature, alone, has enough benefits to make this the best value for price. Add to that the speed, Star Protection and sleek design, and you’re getting a solid tool for a great price. Light weight: 8lbs with battery. Built-in LED to light up work area. Power lock-off switch and electric brake to stop blade on trigger release. Built-in LED light can sometimes fail. Although this would not count as a power tool, it’s popularity makes it essential to this list. Whether you are a handy man or not, this LED flashlight is a great product to have around the shop and the house. This Lithium-ion 12 LED flashlight can be adjusted at multiple angles with 7 up and down positions as well as left-to-right options. The brightness has two settings: full brightness at 240 lumens using all 12 LEDs or half brightness at 120 lumens with 6 LED lights. It also comes with an extremely handy and retractable metal hook with a 360-degree swivel—great for when you need the use of both your hands for reaching into those pesky crevices. The device is about 15 inches long with rubberized grips. You will get about 22 hours of continuous light for single, fully charged, 18 V battery. This is expensive for a flashlight, no questions, however, it also delivers for it’s price. The light can run for 40 hours on a 5 mah battery, making it extremely handy during power cuts, when your car breaks down on the road, or even a camping trip. Pricy for a flashlight if you don’t already own a Makita 18V battery and charger. In true Makita tradition, this tool is quite compact and powerful. It measures at 6-5/16 inches long and 8-7/8inches tall. The two-speed motor and adjustable clutch settings make this device a home run. A pro-level driver that’s great for beginners because of the seamless Makita interface. At its size, it packs a 1240 inch-pounds of torque with a no-load RPM of 3000RPM and an IPM of 3900 at a max of 1700 RPM. It can match the power of an 18 Volt brushless impact wrench. Don’t believe me? Check out the videos online and watch handy men get blown away by the power of this device. The most popular feature among people who have bought this device is the Assist mode on the drill. It’s a feature that, among other things, drives a screw in at a low speed but builds in intensity as it experiences more friction. This impact driver is an excellent choice for your money. The power you get for the size is unbeatable. However, if you’re not in need for the tool, Amazon keeps coming out with deals on products or sells a kit of 2 or more tools. So, keep your ear to the ground, and buy this impact driver when you get the chance. Compact size with a compact battery. Total weight of 2.88 pounds. Max torque of 1240 lbs. Every shop needs a polisher, and a great shop needs a quality polisher. This polisher is made for the veteran auto-body worker. If you have a car that needs a lot of body work, then this the tool that can handle the job. At 3200 rpm and a 7-speed variation, this polisher has the goods to deliver. The speed dial and trigger help adjust the pressure and speed of the device to the requirements of the job. The speed and power make this especially good for clear coat finishes. This tool has a rotary motion as opposed to an orbital motion. All the power is concentrated on the pads which means that unless you’re careful with your polishing, you risk overheating your finish. However, this feature makes this tool perfect for stripping off paint to get to the scratches on the car. Once the paint is off and the surface is reached, a little polish and another rotary buff will result in a swirl-free finish that will make your car looks like you just drove it off the lot. In the hands of a pro, this tool can create a masterpiece of body work. It has the slick Makita design with an easy-grip handle, wire mesh air intake filters and a re-enforced cord guard. This tool's features, adjustability, ergonomic design makes it an ideal choice for body shops, or, for experienced body-shop enthusiasts. The price is high, but the results tend to speak for themselves. This product is popular and highly rated despite it’s price and that speaks a lot for its capabilities. Wire mesh filters on the air intake to prevent gunk build up on the motor. Rubber coated handle to control the applied pressure. Improved cord guard means a longer lasting, durable, cord. This is an expensive piece compared to its competitors. Need extreme expertise for use. Not for casual body shop workers. 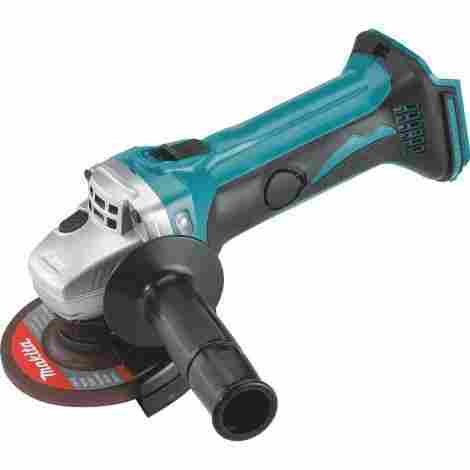 This angle grinder is a great cordless tool for grill work, modifying your fender or any kind of body kit work. It’s great for removing surfaces and flattening protruding edges. It’s also compact with a length of 12 ½ inches and a weight of about 5lbs (without the batteries). This device is equipped with the Star Protection technology and an in-built LED circuit. The Star Protection helps prevent overheating, over-loading and over-discharging, while the LED circuit protect the motor and make it durable and long-lasting. The handy Makita design and an inbuilt motor with the ability to deliver up-to 10,000 rpm make this an amazing addition to your tool kit. An easy control spiral bevel helps in smoother rotations and, at 10,000 RPMs, this grinder is more powerful than its brushless counterparts that clock in at about 8,500 RPMs. The compact barrel grip is especially valuable during those long grinding sessions. Powerful motor for fast grinding and protected motor for long sessions. Not as powerful as a corded grinder. Measuring in at a mere 7.9 x 22.5 x 25.9 cm and weighing only 4 and a half pounds, this tool is lightweight and powerful. This hammer driver drill has a 2-speed gearbox, 21 torque settings and a hammer function. Besides the above-mentioned features, this tool also has a large 13mm chuck makes switching between drill bits a cinch. A small lever switches between forward and reverse functions while a wheel close to the chuck switches between action, drill, hammer and clutch rotating mode. The device also features enhanced dust and drip protection, so it can function in bad weather with no hassles. The device also comes with a twin LED with pre-glow and after-glow functions, to help illuminate those dark crevices and ensure a precise job. This is a best-in-class tool for it’s price. The customer reviews are through the charts both from new customers and customers who switched to Makita from another brand. Comes with optional side handle that can be easily attached. Heavier than its devices from competing brands. True, this is not a power tool, however this list would not be complete without it. It’s clear from all the objects listed above that most Makita devices are powered by 18V batteries and owning this charger is a must for any Makita enthusiasts. An 18 V battery, completely depleted, can be recharged using this device in as quickly as 45 minutes. A built-in fan also ensures long batter-life by managing temperature, voltage and current. It can charge two 18V lithium ion 2.0 Ah batteries in 25 minutes and two 18V 5.0 Ah batteries in 45 minutes. Lithium ion batteries give more cycles if charged between 20-80 percent. This product has a sensor that switches the charger to a low voltage after the batteries are 80 percent charged. This device is an investment, plain and simple. Since the Makita 18V batteries work across their roster of tools, this is a must-buy even if you own just one Makita. The durability and efficiency of this charger will ensure constant battery supply for multiple projects for years. Can charge two 18V lithium ion batteries 2.0 Ah batteries in 25 minutes. It can charge 2.0 18V 5.0 Ah batteries in 45 minutes. Batteries can be charged partially and still deliver on power. After batteries are 80 percent charged, the charger switches to a low voltage. Built-in fan helps regulate temperature, voltage and current of the batteries. Does not have keyhole for wall mounts. With dimensions of 3.2 x 10.9 x 4.4 inches and a weight of 1.96 lbs, this ergonomic multi-tool is ‘the’ tool to reach those tight, hard-to-reach places. Its efficient motor puts out a variable speed control of about 600—20,000 OPM. The model has an onboard hex tool to switch out the blades depending on the job you’re using it on. It also comes with an adapter that, when mounted, can work with the oscillating multi-tool accessories from most other brands. Since it will probably be used in some tough to reach spots. The best feature of this device is an LED work light that illuminates the work area. You can use it in the garage, on your car, and around the house for jobs where the big tools can’t go. The price is right for it’s value. The range of this tool makes it great for your garage and your home. And you can’t beat the power and options it packs in it’s compact size. The compatibility with multi-tool accessories by other brands just add value to a product that’s already got a lot going on for it. Hex tool to change blades and modify angle. Hex tool required to change blades. This is a HD tool built for the most rigorous of jobs. The heavy duty front bumper and high tech motor help this impact wrench stand up and deliver. The ball and needle bearing construction allows for a hassle-free power transmission. At 1700 RPMs, 1600 IPMs and a fastening torque of 433 feet-pounds, this tool is great for any heavy duty job. It features a 9amp motor and a mechanical Anvil impact action. A 360-degree adjustable side handle make this a great tool for those awkward angles. A rocker type reversing switch makes it possible to for a one-handed switch between forward and reverse angles. The device is double insulated, and the brushes are easy to access for replacement. The torque alone adds value to this device. Unlike other similar caliber power tools, this tool also comes with a 360-degree swiveling side handle which makes it perfect for awkward angles. Powerful with a max torque of 433. Great for working at those awkward angles. Easy to use and extremely durable. Heavy, weighs approximately 21 lbs. Makita’s reputation for producing quality tools make this company an ideal choice to purchase your power tools. The price may be slightly higher than its competitors, but the value more than makes up for it. User reviews consistently rate automotive tools from Makita as being durable, high quality, powerful and resilient against the toughest of jobs. The entire brand is built as an investment and brand loyalty is duly rewarded. 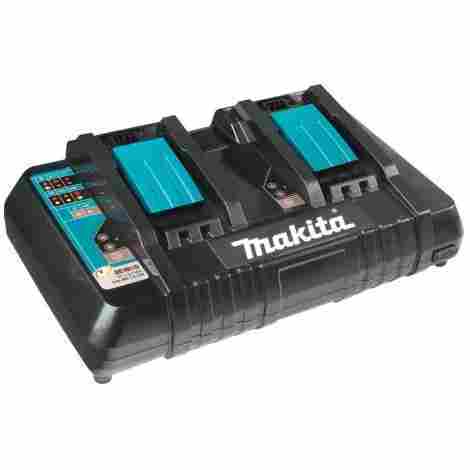 Owning the Makita 18V batteries and charger means that you do not have to buy batteries every time you purchase a Makita power tool, the same batteries work across the board of tools. So, if you’re an established body shop, a veteran hobbyist, or, just getting started on a tool collection—this is the right brand for you. So those are some of the best automotive tools from Makita. Now, you are probably wondering how we made that list, what factors did we look at, what was our criteria? So, let’s dial it back a little and look at the key factors to consider before any power tool purchase. Power is the first factor that arises when it comes to buying a power tool. Power is a measurement of two key values: Torque and Speed. In terms of a wrench, Torque is the amount of force generated by the tool to turn a bolt or lug-nut, while, Speed is how fast it can do it. A common misconception is that if a tool has a high torque then it’s also fast. Speed is usually measured in RPM(Rotation Per Minute) or IPM (Impacts Per Minute). The Power is going to tell you what kind of jobs a tool can handle and how fast it can deliver. Makita’s products tend to side on a good balance of Power and Design, they get the job done and are easy to handle. However, Makita has also manufactured some exceptionally powerful tools. 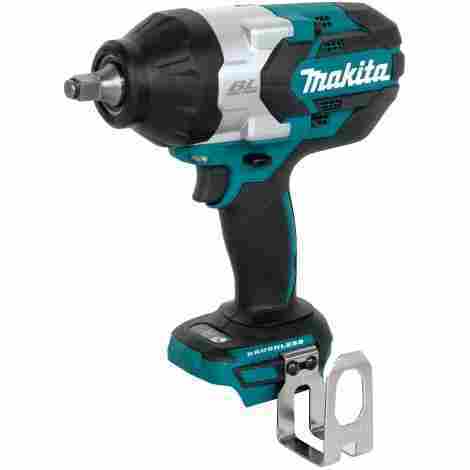 Makita’s best on that list (also top on this list) is the Makita XWT08Z, Impact Wrench. Its power makes it a home run for anyone looking for a solid impact wrench to be the backbone of all their automotive needs. Two important factors to consider when purchasing power tools. Manufacturers are constantly trying to innovate the design of their power tools to get an edge over each other. What you have today is a situation where each brand has cornered its own share of the market and works to keep its customers happy. It also means that designs vary on preferences of different types of customers. Let’s get into it a little more. Design is vital to a power tool for many reasons, but the number one reason is comfort. Yes, sounds strange, however, these tools are usually used for long intervals, for tough jobs, sometimes at awkward angles and, occasionally, in unpleasant weather conditions. A tools design is geared to handle those points and deliver the numero uno requirement—comfort in your hands, so you can work for long hours with minimal strain on your hands. In this sense, some companies deliver better than others, but like I said, it comes down to preference. Makita’s are known for sleek and comfortable design, however, lots of people like the bulkier tools from DeWalt simply because they’re studier. That brings us to construct. The design is the start, but the construct of the tool is what brings it all together. Among other things, manufacturers fore-go nylon bearings for an all-metal construct. This makes the tool a little more sturdiness, but the trade off is weight and sleekness. If you know you are going to be using your tool for a long time, for an intense project, then you might want to consider these factors. Hands down, you will be able to work longer with a light-weight and sleek tool. End of the day, it comes down to your preference. Everybody shop owner, mechanic, enthusiast (just about any tool owner) would want their tools to last for years, through constant use and project after project. For this reason, durability ranks high in criteria for tool purchase. These things need to be sturdy and dependable—like a good truck, a workhorse. Makita tools usually rank high for durability. There are a couple of replacement reviews out there, but—for the most part—Makita owners rate their tools through the roof in durability. You sort of get what you pay for. Makita tools are slightly pricier than competitor brands, but they do not short when it comes to durability. If properly maintained, these things are built to last. (For general maintenance tips scroll down to “How to maintain your tools?” down in the FAQ section). Yes, tools need to be durable and they need to be tough and resilient. However, it’s always great to have a warranty in your back pocket. You don’t want to use it, but it’s great to have. Most power tool manufacturers offer a warranty that’s included in the price and Makita is no different. All the tools mentioned in the list come with the Makita 3-year warranty. What you want to look at in your manufacturer’s warranty is what kind of damage and defects are covered. There are incidents of people trying replacing or fixing damaged tools under events that are not covered in their warranties. For that reason, manufacturers outline exactly what they cover. (For details on Makita’s three-year-warranty scroll down to “What does a Makita warranty cover?”, in the FAQ section). The powerhouse of your tool is a key factor to consider during your purchase. Most power tools run on either 12V or 18V Lithium-ion batteries, these batteries are rechargeable, and the manufacturer usually sells a charger as well. What you need to look for is: are batteries included with the tool? How quickly does the battery recharge? What’s the battery life? To find out Makita’s battery performance, scroll up to the Makita DC18RD Optimum charger write-up above. Battery life and recharge time vary amongst different brands. And it’s usually a safe bet to purchase the battery from your power tool manufacturer because the use of unrecognized, not recommended, batteries will usually void your power tool warranty. Who doesn’t like a good deal? No one, that’s who. If you’re not in an urgent need for the tool then wait and shop around a little. The important thing to remember is that websites like Amazon are always running promotions on power tools. If you keep you’re ear to the ground, then you can snag up a combination of the tools in this list for a great deal, and maybe also get extra accessories like a tool bag, kit, etc. So, keep the keywords “Makita Tool kits” in the back of your head and check Google and Amazon often. Q: What are the essential automotive power tools? Tools are a must-have for every car owner, but power tools are mostly for the enthusiasts, body shop and garage owners. These are the guys that take cars apart, make modifications, fix dents and everything in between. An impact wrench is an absolute need. This is a tool that can take out lug nuts to replace tires, help you remove bolts and strip an engine down. A reciprocal saw is great to cut away steel and metal for modifications on your car; same goes for an angle grinder—difference is mostly inn finesse. Polishers and sanders are mostly for body shop owners to fix dents and scratches, but less powerful ones are also good to keep in your garage to buff your car and give it that glossy shine. Q: How does one maintain automotive power tools? This is an important question and the one word answer is—cleaning. All power tools need constant maintenance to ensure long life and excellent performance. Here are some tips to maintain different type of power tools. Power Drills- Most of the issues that drills face come from blockage of the moving part from debris. Drills can get a lot of gunk build up. So make sure to clean your drill. After the drill cools, take out the drill bit and wipe it down with a clean, dry towel. Then reattach the drill bit and turn it slowly with the towel wrapped around it. Blow out any openings in your drill with an air compressor to get rid of dust and small debris. Also, apply a drop or two of oil to your power drills every two months to keep it running smooth. Only a drop or two should be good, too much oil can lead to gunk build up and even gear slipping. 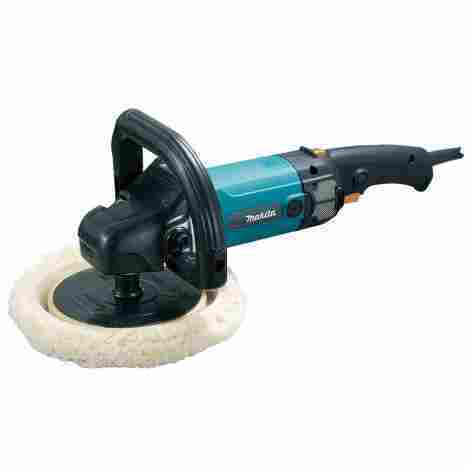 Power Sanders- Power sanders are great for getting out minor scratches or finishing up a job, but a poorly maintained sander can do as much damage as it can fix. Make sure all the parts and components are clean before using it. Empty any dust collection systems. Gunk or dust build-up in the fan can cause the device to overheat so clean out the fan using a brush or an air compressor. Polishers- Like power sanders, polishers can do major damage to a vehicle if not properly maintained. Regularly check and clean the polishing equipment. Basic thing to do is to clean out any openings with compressed air and wiping it down with a microfiber towel. If you have the expertise, you can disassemble the polisher for a proper cleaning. Also, regularly check the speed controls and make sure they’re in optimal condition because the wrong speed can really mess up the vehicle. Oscillating tools- Multi purpose tools are great because they can take on a range of jobs, but they’re also exposed to more debris, dust and gunk. Again, an air compressor to the vents can do wonders to clearing out the motor and moving parts. Since you will constantly be changing the bits, make sure the new bits are clean. In case of the Makita MT01Z make sure the adapter is always cleaned. For this you can use an old tooth brush to remove any stubborn build-up between the grooves. Q: What is Star Protection? The Makita Star Protection is essentially a communication technology that allows a Star Protection equipped tool to communicate with its battery in real-time, monitor conditions and prevent over-heating, over-loading and over-discharging. Q: What is a Brushless Power tool? True to its name, a brushless power tool loses the brushes and commutator and replaces it with a tiny circuit board that co-ordinates the delivery of energy directly to the windings. This direct communication between the electronics and the windings makes a brushless power tool a “smart” tool, because the device can adjust according to the task at hand. Q: What does the Makita Warranty cover? • Signs of tampering (includes repairs being made by someone other than the Makita technician). • The power tool, battery has been abused, misused or not properly maintained. • Alterations have been made to device. • The device has been used with a non-genuine battery. • Normal wear and tear of the device. Q: What is an ideal tool for heavy duty automotive work like stripping an engine? There are a lot of power tools that can do the job but the one you absolutely need is the impact wrench. It can be used to strip of an engine, replace motor mounts, change tires etc. The Makita XWT08Z Impact wrench, in addition to its torque, features a swivel on its battery connector to prevent any damage to the battery pack from the vibrations. Q: What are the advantages of an LXT battery? Batteries are essential to every power tool. The important things to ask with batteries are: how long they last? And, how quickly they recharge? In this sense, an LXT battery is an amazing performer. Not only does it charge three times faster it also lasts about 50 percent longer. A Makita DC18RD can recharge a 2.0mAh battery in 20 minutes and a 5.0mAh battery in 40 minutes. 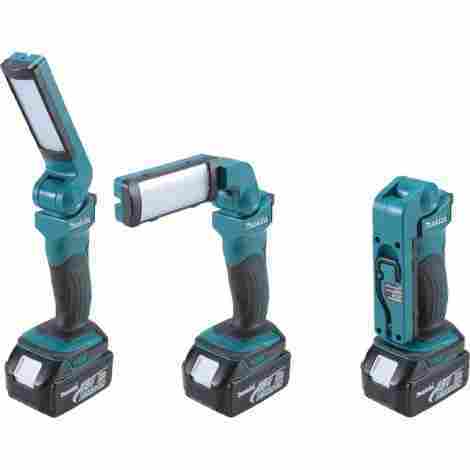 The Makita charger also come with Star Protection which help in efficient power management and efficient recharging. Most Lithium-ion batteries are the most efficient when 20-80 percent charged. The Star Protection on the charger makes it reduce to a lower voltage once the battery is 80 charged ensuring longer battery life.